No Bad Audit Reports Allowed? First, a couple “I know” statements…I know auditors are supposed to be helpful and friendly. I know auditors are supposed to add value. I know auditors need to be careful about giving only bad news; we should also note in our report what the auditee is doing right (if anything). 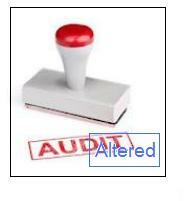 I know that it’s hard for auditees to get hammered again and again by audit reports.